So sorry to hear this. Joan was the sweetest person. She came to a few breakfasts at the Best Western, downtown Easton, and sat at our table. 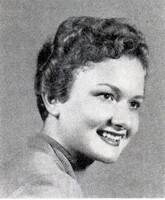 I also remember her coming to the 50th reunion and sitting at the table with Mr. Noto and other teachers. RIP Joan Carr Koch Allison.